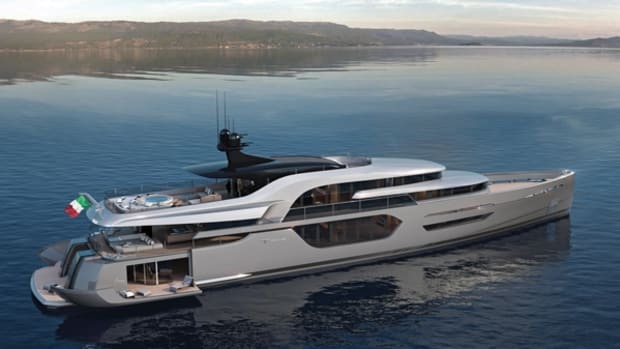 New Zealand builder McMullen & Wing recently released the renderings and layouts for the partially completed steel expedition yacht Big Star. 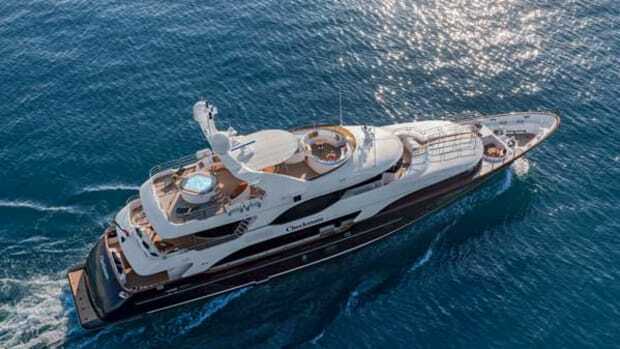 The custom 164-foot (50-meter) yacht has strong lines reminiscent of her predecessor, Big Fish, but the yard drew on the experience of the first build to improve upon the concepts and design. 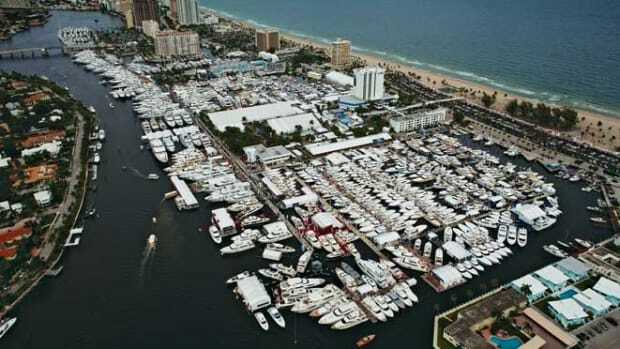 For the 54th year, Fort Lauderdale hosts the largest in-water boat show in the world. 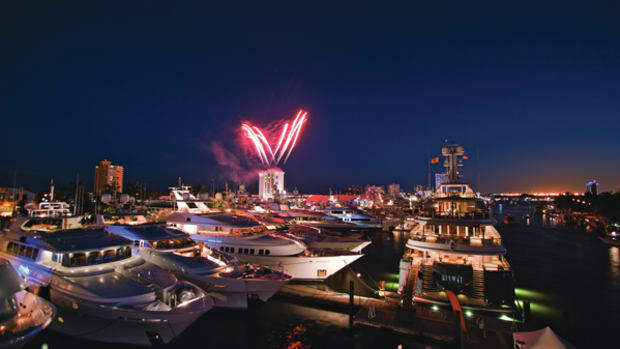 Running from October 31 to November 4, the Fort Lauderdale International Boat Show attracts hundreds of thousands of yachtsmen, fishermen and marine enthusiasts to its six locations that cover more than three million square feet. 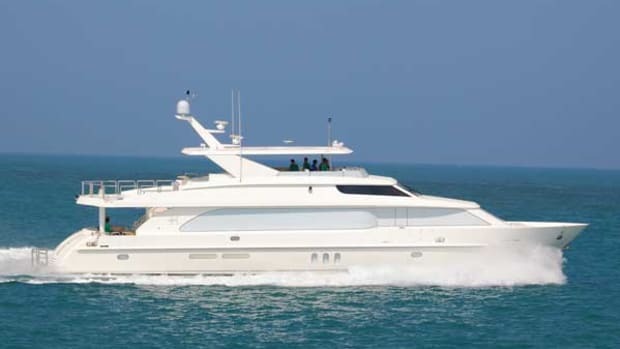 Outer Reef will bring a new Deluxbridge model to the show this year, the 720 Deluxbridge Motoryacht (DBMY). 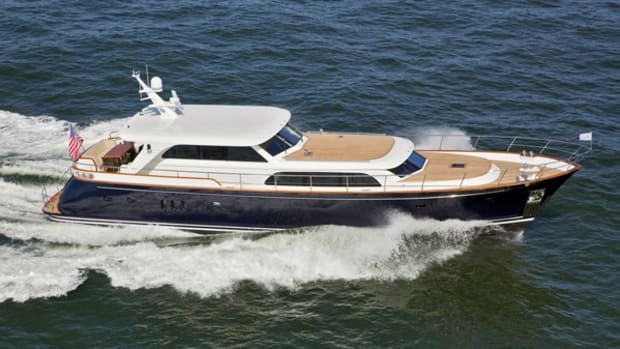 This semi-custom design features an enclosed pilothouse and lounge in place of an open flybridge. The latest addition to the Pershing line is the 62, a product of the partnership between Ferretti Group Engineering, Advanced Yacht Technology & Design and Fulvio De Simoni. 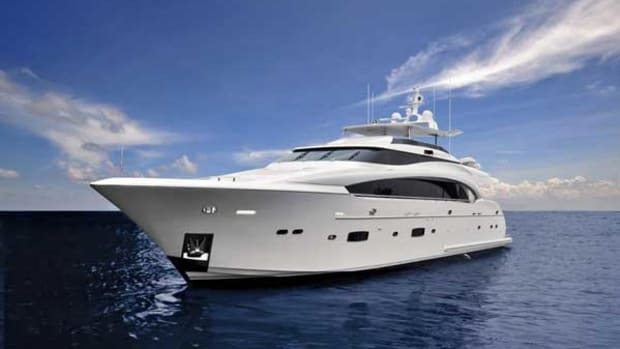 The flagship of Ocean Alexander’s Motor Yacht line, the first 90 has a 22-foot beam that helps give the interior spaces an airy feeling, especially when paired with the wide windows in the salon. 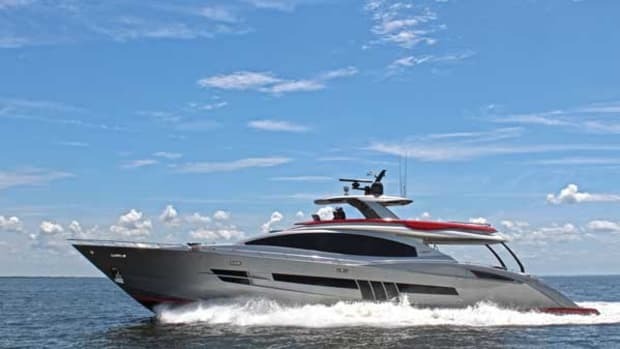 Lazzara is bringing its new Sports Yacht 95 to the show this year. 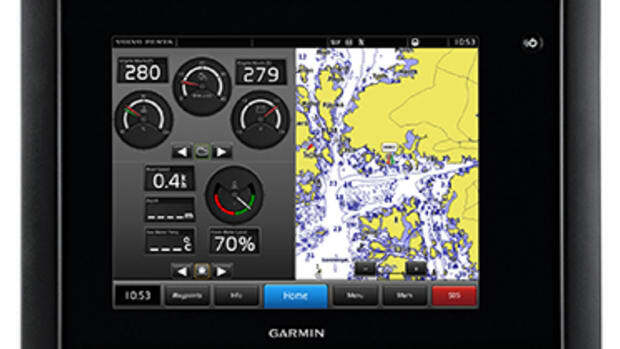 The yard worked to reduce weight on this model with extensive use of carbon fiber in the hull, deck, flybridge and hardtop. The new 101RPH from Hargrave comes from Ted Black Studios and is part of Hargrave’s newly redesigned product line. 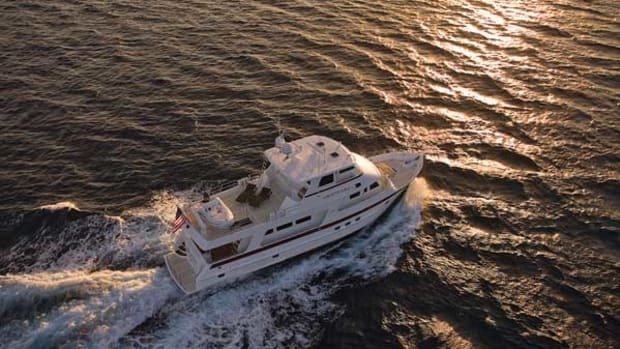 The 101RPH features a country kitchen, four guest staterooms and an interior by Yacht Interiors by Shelley. 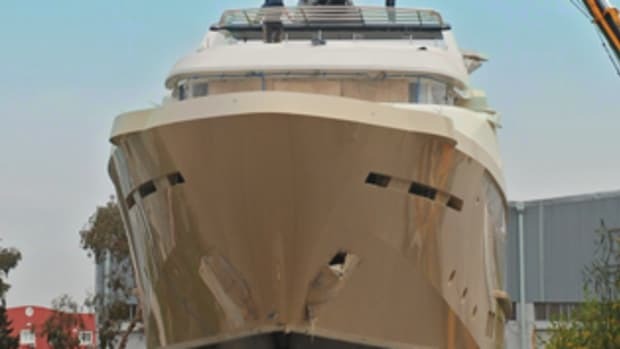 Ferretti is bringing hull number one of the yard’s new flagship, the Ferretti 960. 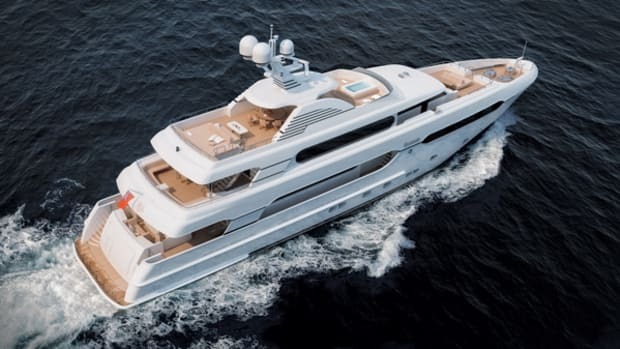 With design by Studio Zuccon International Project and Ferretti’s engineering department, the yacht is Ferretti’s largest planing yacht to date. The first hull of Horizon’s new raised-pilothouse model, the RP110, debuts this year. 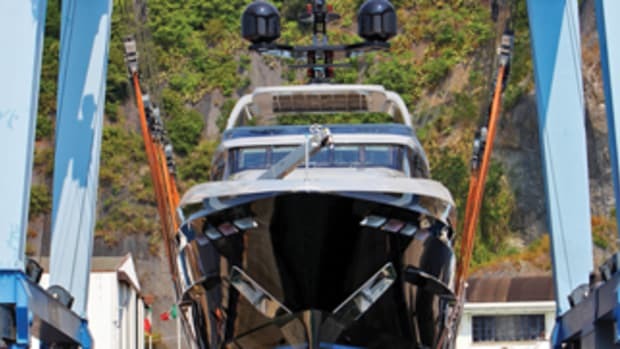 Andrea VI features styling by J.C. Espinosa, as well as two years of work on the double-chine hull by Donald Blount and Associates and the Horizon design team, plus interior design by Marty Lowe. This year, Trinity is displaying its new 120, Finish Line. 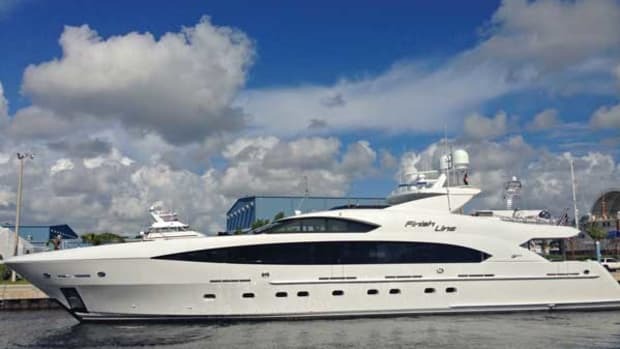 In addition to four suites on the lower deck, the yacht features the now-traditional main-deck master suite with his-and-hers en suite bathroom. 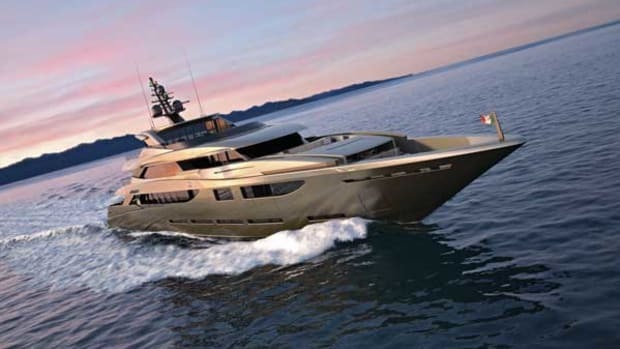 The new flagship of Sanlorenzo’s semi-displacement range, Alchemist Too, is the latest hull of the SD122 series. The interior by Minotti features Canaletto flooring, furniture finished in whitened oak and white lacquer and marbles such as Crema Luna and Tobacco Brown. The Westport’s in-house design team offers high levels of personalization and builds each interior to clients’ specifications. 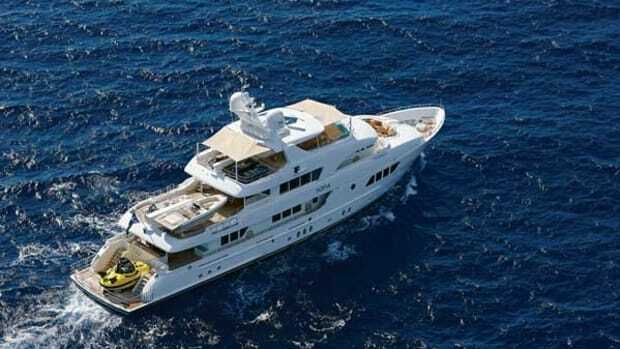 The 130-foot (49.6-meter) trideck yacht (redesigned a few years ago) features five staterooms including a main-deck master suite and accommodations for seven crew. 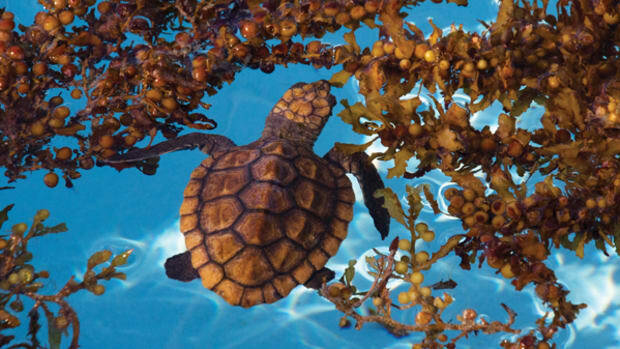 Mondo Marine’s 134-foot (40.97-meter) Nameless splashed this past summer. 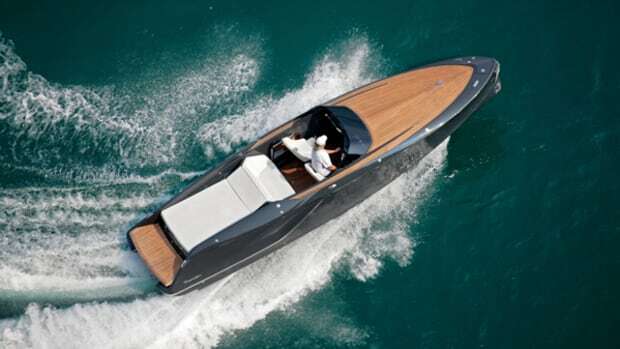 The builder handled the naval architecture in-house, with exterior styling inspired by sports cars and styled by Cor D. Rover and interior design by Luca Dini. 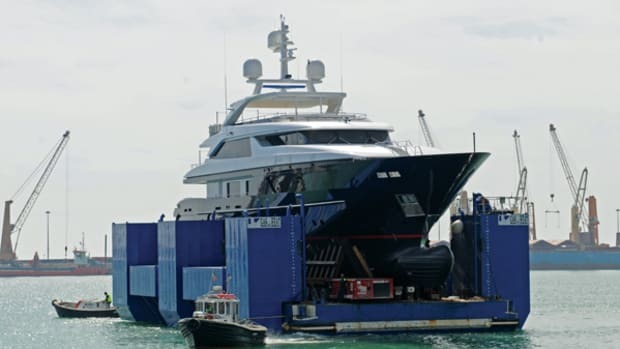 The 138-foot (42-meter) Moonen Sofia is the yard’s largest build to date, but the yacht is also notable because she was designed to accommodate a three-passenger C-Quester 3 submersible from U-Boat Worx. 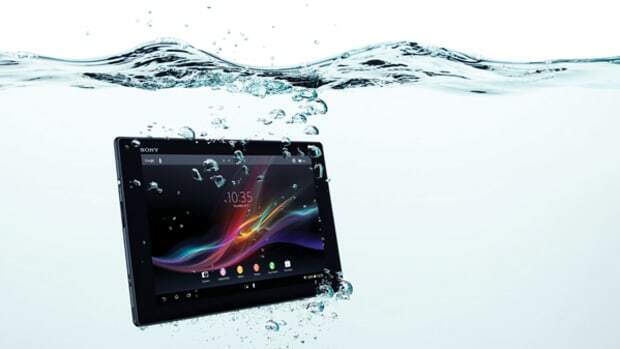 There will be a new Vision at the show this year. 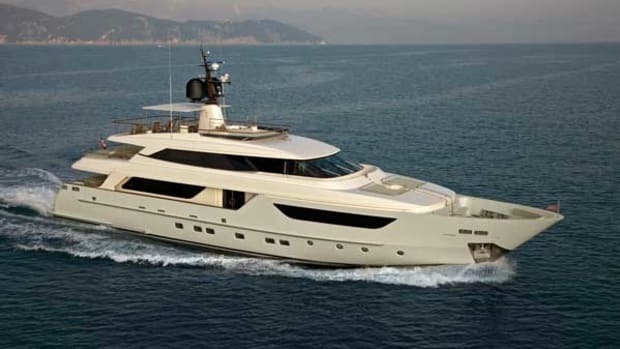 Checkmate, the 15th launch in Benetti’s Vision line, includes an interior the yard calls “rich and sober” with cherry and burr madrone wood and neoclassical inlays with marble touches. 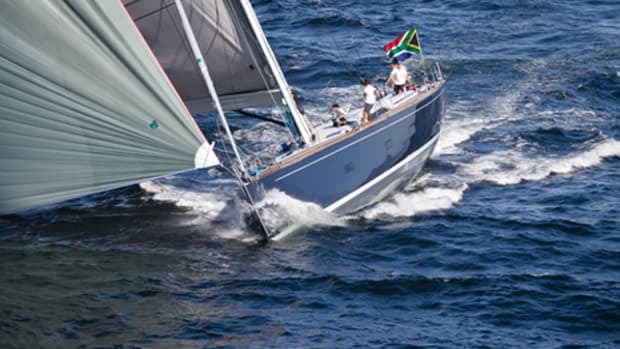 Vicem’s display will include two U.S. debuts this year: the Vicem Vulcan 46M and the 107 Cruiser. 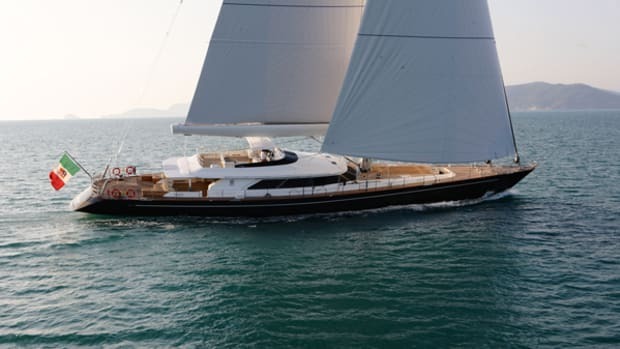 The Vicem Vulcan 46M is built for long-range cruising with a low-maintenance exterior and increased interior volume. 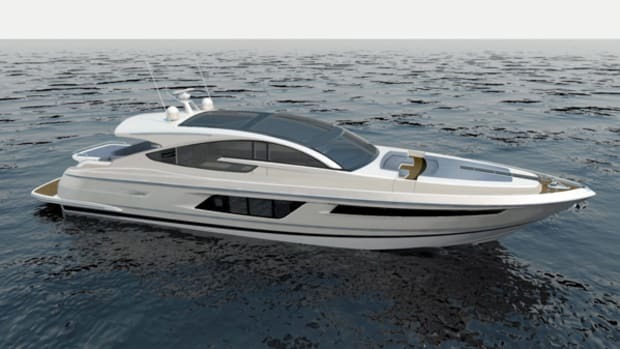 The new flagship of the Sessa line will soon be the C68 Sport Fly. 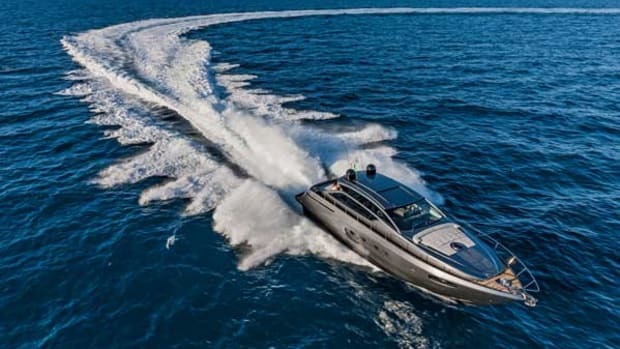 Though it manages to maintain the sporty lines of the previous C68, the Sport Fly model offers the bonus of a spacious flybridge including a second helm and plenty of lounging space. 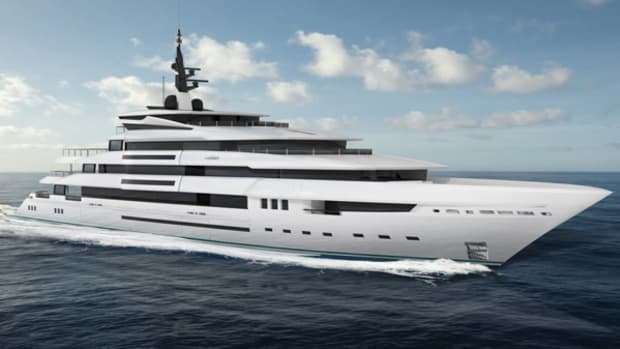 From Team for Design’s Enrico Gobbi comes the latest design for Oceanco, the 285-foot (87-meter) Pantheon. Although it is common to have a private or semi-private owner’s area on one of the upper decks aboard a yacht this size, Pantheon includes a suite that stretches over two decks and includes a panoramic viewing area from the “glasshouse” on the top deck. 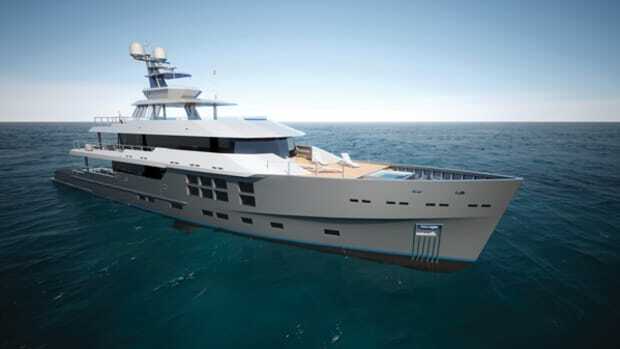 In summer 2014, Sunrise Yachts will deliver its newest 148-foot (45-meter) build: Project Sunrise. 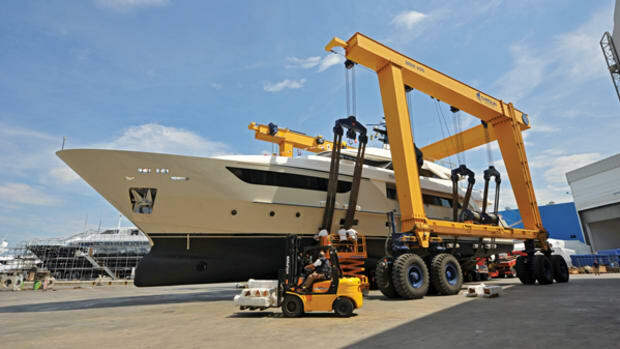 When a North American owner signed with the yard, the yacht was already under construction with only interior outfitting to be completed, which allowed a shorter-than-usual completion time. 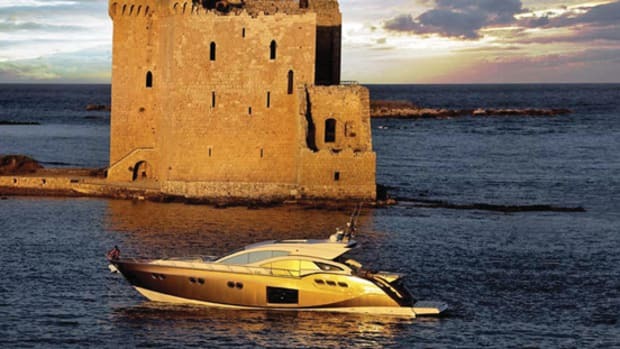 Admiral Tecnomar has released plans for a new family of yachts developed with Vripack. 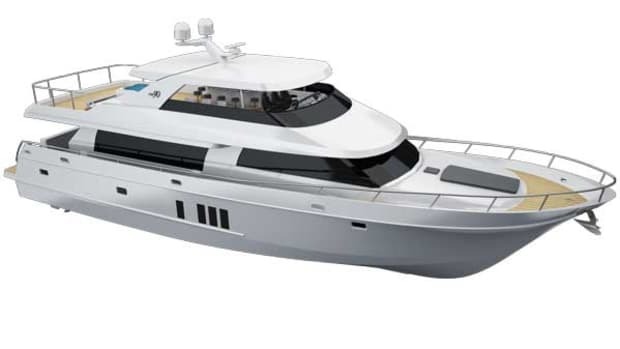 The Tecnomar Envy series will begin with three dynamic designs, all featuring a beach club that opens on three sides, a central atrium and full-height windows. 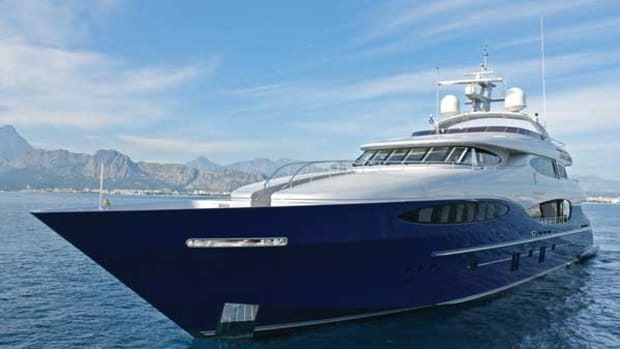 Delta’s latest delivery, Invictus, will be a striking addition to the charter market. Named after the spirit of a 19th-century poem by William Ernest Henley, this 217-foot (66-meter) yacht features numerous windows and an extra-wide beam—43 feet (13.1 meters). 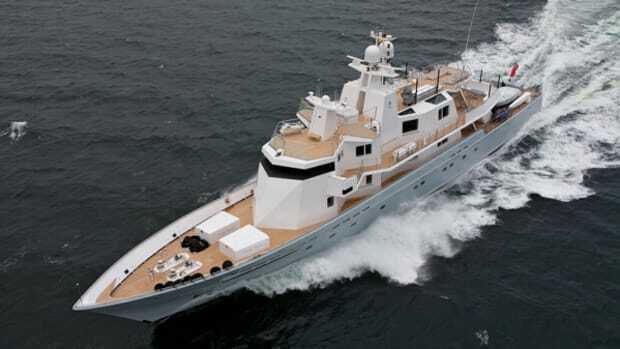 The 11-month refit by Lürssen on Ronin, a yacht that originally launched from the German yard in 1993, is now complete. 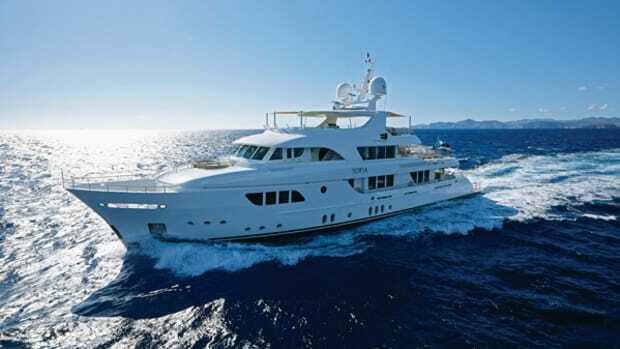 During the refit, the 192-foot (58.5-meter) yacht underwent a serious facelift. 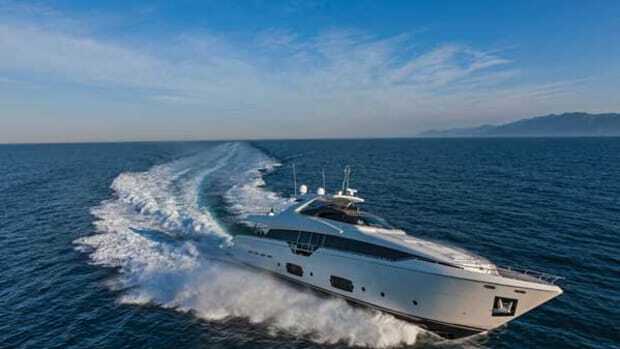 Therapy, the eighth in Sanlorenzo’s SD122 series, was recently launched in Viareggio. 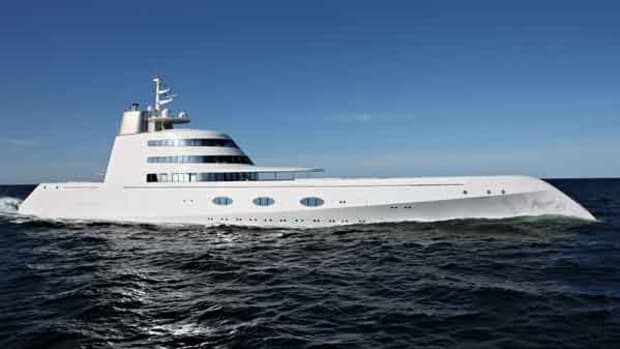 Built for a Turkish entrepreneur, this four-deck, 122-foot (37.2-meter) yacht is meant to evoke the image of the 1930s trans-Atlantic liners. 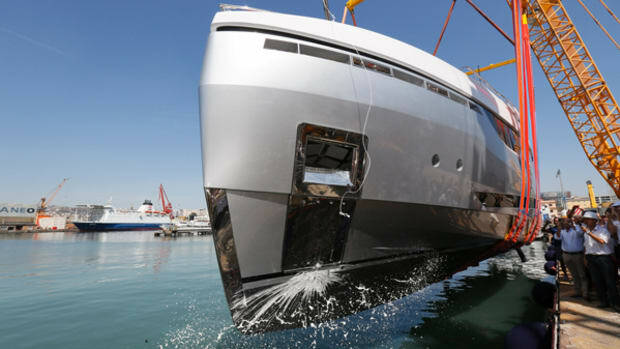 At 138 feet (42 meters), the recently launched Sofia is Moonen’s largest build to date. 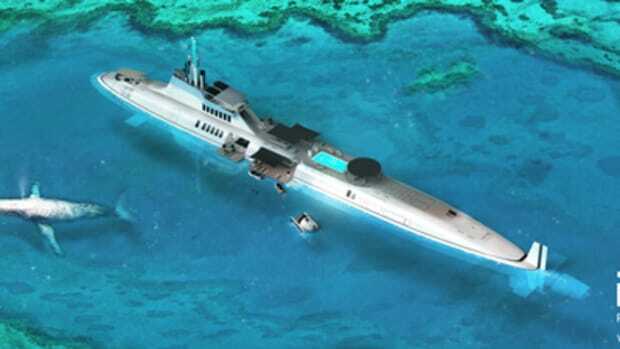 Ordered by a repeat client, Sofia is also notable because she was designed to accommodate a three-passenger C-Quester 3 submersible from U-Boat Worx. The National Coast Guard Museum Association has launched a website to assist in the fundraising and development of the new National Coast Guard Museum planned for downtown New London, Connecticut. 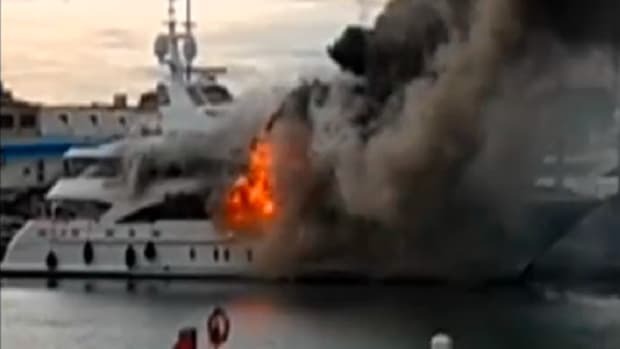 Mondo Marine’s 134-foot (40.8-meter) Nameless splashed this past summer. 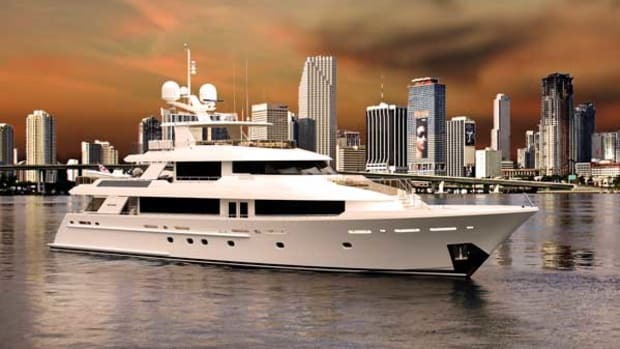 The builder handled the naval architecture in-house, with exterior styling by Cor D. Rover and interior design by Luca Dini. Rover’s inspiration was the owner’s sports cars. 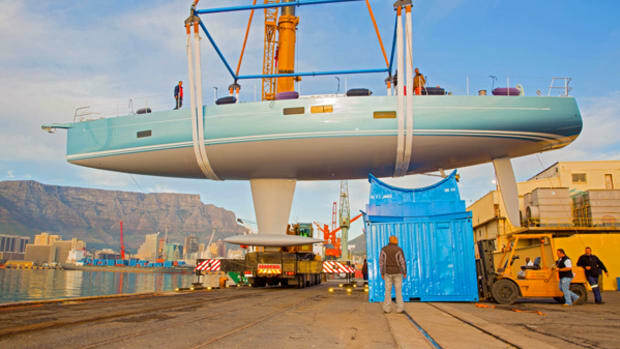 South African builder Southern Wind is hard at work on the third hull of the SW102, a raised-salon version of this sailing-yacht line. 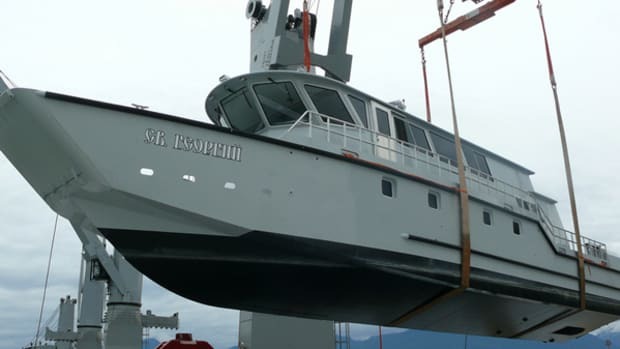 This yacht will have a slightly longer hull (it is expected to finish at 104 feet/31.7 meters), in part to make room for a garage capable of holding a 13-foot (4-meter) tender. 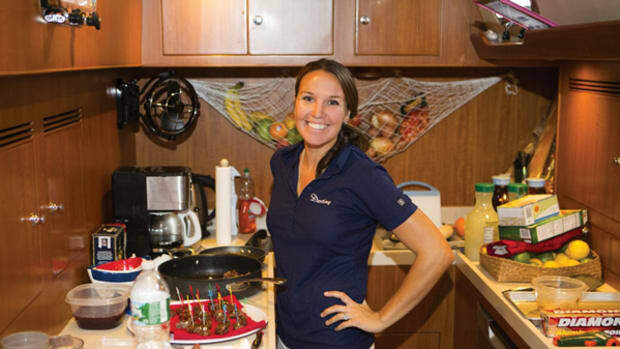 One watcher called it “Iron Chef on the water.” There’s no doubt competition was fierce during the Newport Charter Yacht Show’s Culinary Competition. 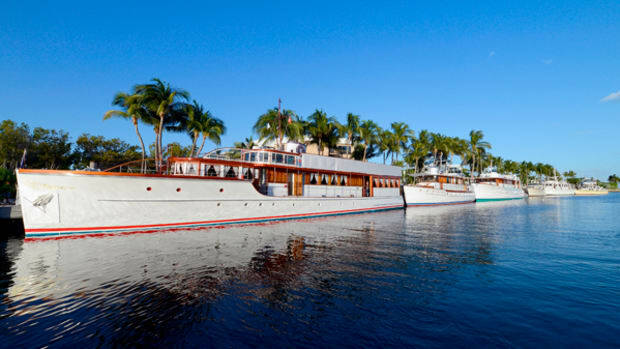 Chefs were split into two classes—Grande, for yachts 100 feet and larger, and Premier, for yachts smaller than 100 feet. 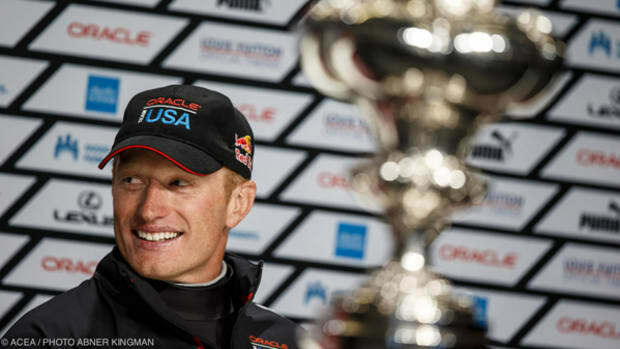 Participating yachts could also enter the show’s first tablescaping competition. Penned by Guido de Groot Design and Ginton Naval Architects, the first hull of Mulder’s 75 Wheelhouse series has launched from the builder’s new shipyard in Zoeterwoude-Rijndijk, the Netherlands. 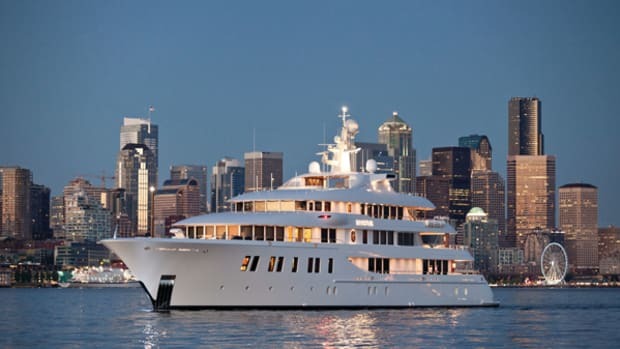 Featuring an interior by Kitty van der Kamp Design, this 76-footer (23.1-meter) can accommodate 10 guests in four staterooms and a 215-square-foot (20-square-meter) master suite. 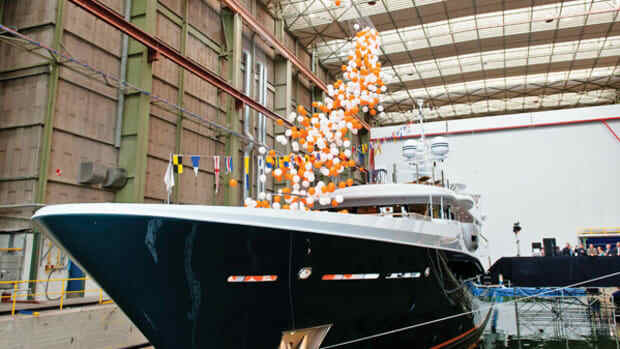 More than 400 guests attended the May christening of Amels’ Limited Edition 180 at the shipyard in Vlissingen, the Netherlands. 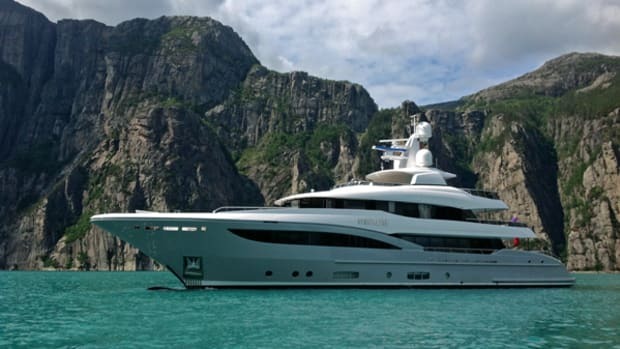 The yacht, now known as Engelberg, has an exterior design by Tim Heywood, naval architecture by the in-house team at Amels and interior design by Enea Landscape Architecture.